For those whose have taken at least one full session of hand drum study and have a solid understanding and technical ability with the bass, open and slap strokes. 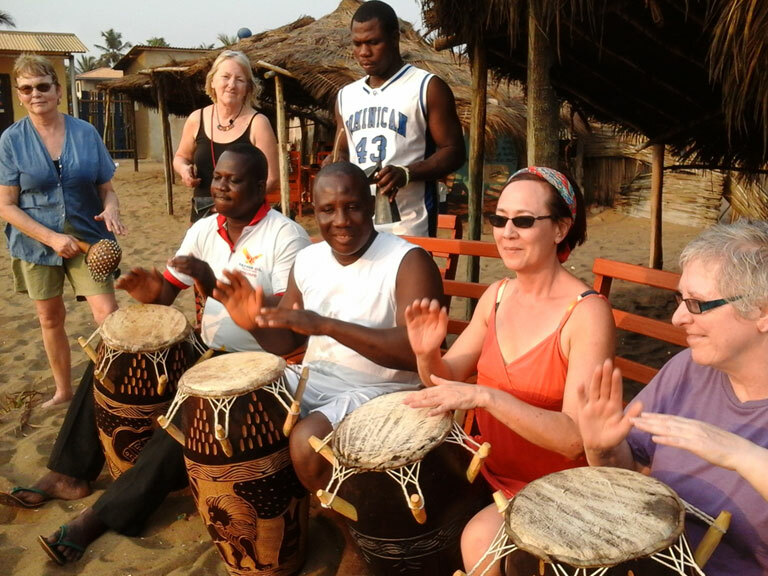 This level will lead students through a further development of ability to improvise on the drums, add more rhythms to the students repertoire and add one or more multi-part drum pieces from Ghana. Traditionally in Africa, drum music is taught/passed on to students in an aural tradition (i.e., not written down). Students are encouraged as much as possible to learn in this manner. However, the use of tape (or digital) recorders and writing down notes in your own style are most welcome and can prove very helpful. You will find that reviewing rhythms from the class over the course of the week really make a difference in remembering the various rhythms - in essence, you are learning a new language, not with words but with the sounds of the drum. With some perseverance and effort you will soon learn the 'language' of the drums and begin to hear them speak. Make cheques payable to I Got Rhythm Ent. Inc.